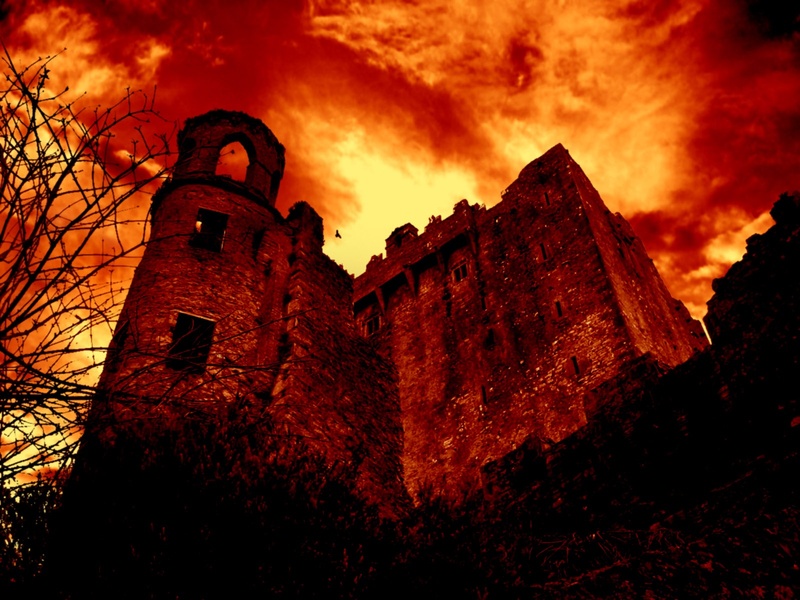 This is the reworked version of my Burning Castle image. Thanks again Alv for letting me rework your photo! I have made a new sky to try and follow Cains suggestion on the previous version. Oh I'm definitly liking this one. The castle is darker and the shadows at the bottom are a bit more threatening. Also like the clouds looking normal but still crazy. I like it much. Red darkness all around. creepy! This is great Grim. The sky look better like that, give a big feel of pressure and menace^^. like also the fact that you makes the stones of the castle more red. it seem a bit more vicious like that^^. I though I had a spare tire in here, well, let's go see if they have a phone.......In your rework that could be a bat instead of a bird. Thanks guys! Lucy was right about the sky and the impact of the image is much enhanced as a result! I am able to BE, to BEAR, to DO, or DARE, all things through Christ who strengthens me, every day of my life. I like what you did with it. Nicely done, congrats! Where did u get this, this is definetly a one-of-a-kind. In the begining there was nothing, than god said let "there be light" the was still nothin g but you could see it. Very nice picture. Into favorites and is my new desktop background. Wow very cool. Does not look like a lovely place to be. The only thing is...would there be a bird in the sky and some leafy shrubbery in the foreground if the weather was like this? And I swear, in that moment, we were infinite. Great color and mood in this one...definitely spells disaster...you can almost feel the heat coming off it.:Pat. Dreadful...surely the castle from hell. My fav's, too bad coz we can't vote anymore.. Very, very, spooky. Love the effects on this one. It'll be good inspiration for my next, er, first, horror novel. Definitely a good photo. Sort of what I imagine Dracula's castle to be like. I took a shot like this once and inverted the foreground and background and it gave it a nice sinister and creepy look, but now I have to do better don't I??? Wow...looks like it's out of Lord of the rings, great job. I really like what you've done with this image. is that Blarney Castle by any chance?